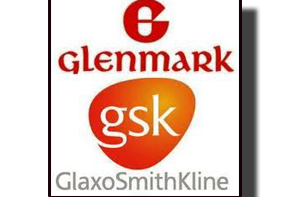 Glenmark Pharmaceuticals Ltd. is an organisation which is research-driven, global, integrated pharmaceutical company. Glenmark is a leading player in the discovery of new molecules, both NCEs (new chemical entity) and NBEs (new biological entity), with seven molecules in various stages of clinical development and pre-clinical development. The company has a significant presence in branded generics markets across emerging economies including India. 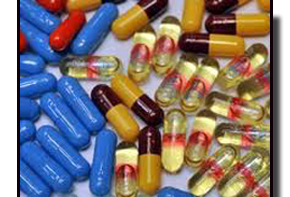 Its subsidiary, Glenmark Generics Limited has a fast growing and robust US generics business. The subsidiary also markets APIs to regulated and semi-regulated countries. Glenmark employs over 10,400 people in over 80 countries. It has 14 manufacturing facilities in four countries and has 6 R&D centres. Since getting listed on the stock exchange in 2000, when Glenmark registered revenue of USD 32 Mn, the company is currently ranked among the World's top 100 Pharma & Biotech companies. Recently, Glenmark has been chosen as the 'Best Company Across Emerging Markets' 2011, and recognized for the 'Best Overall Pipeline' 2011 by SCRIP, the largest selling and most respected pharmaceutical magazine in the world. SCRIP had also recognized Glenmark as 'Best Pharma Company in the World - SME' and 'Best Company in an Emerging Market' in 2008. To emerge as a leading integrated research - based global pharmaceutical company. The company values achievement of objectives and consistently strive towards its Vision, with perseverance. The company respects all stakeholders. Glenmark's biopharmaceutical research is carried out at its R&D facility in Switzerland. The centre is dedicated to the discovery and development of novel monoclonal antibodies (mAbs). The R&D centre has capabilities to develop mAbs from inception through to preclinical and clinical studies. Glenmark has also been investing in another state-of-the-art R&D facility in Oxford, UK for molecules in clinical development. The R&D facility serves as Glenmark's global centre for clinical development for both small molecules (NCEs) and biologics (NBEs). Glenmark's formulations business is currently organized around four regions - India, Latin America, Central Eastern Europe and Semi Regulated Markets of Africa/Asia/CIS. The formulations business focuses on therapeutic areas viz. dermatology, anti-infectives, respiratory, cardiac, diabetes, gynecology, CNS, and oncology. India is the largest market in terms of revenue for the organization. The formulations business has six manufacturing facilities; four in India and two overseas. These facilities are approved by several regulatory bodies. The facility at Baddi, Himachal Pradesh, India is also approved by MHRA and USFDA for semi-solids. The overseas facilities are situated in Brazil and the Czech Republic. While the manufacturing facility in Brazil services requirements of the Latin American region, the Czech facility services requirements of the Central Eastern Europe region. Glenmark has also invested in a dedicated R&D facility for formulations development. This R&D centre, situated near Nasik, India is engaged in developing specialty/ branded formulations for global markets. Instituted around the theme of Healthier Children, Healthier World, Glenmark foundation is actively working towards improving child health and reducing Infant/Child mortality in over 100 tribal villages in Khandwa district, Madhya Pradesh and over 166 villages in Rajasthan, Jaipur District by focussing on three critical issues of malnutrition, immunization and sanitation. Based on in depth research and analysis, Glenmark has set up unique initiatives to address the cause of creating Sustainable Livelihood. Unemployed school dropout people are provided an opportunity to earn a sustainable livelihood through Skill development courses in Nashik. Partnered with an NGO they have trained more than 1500 youth in the last 3 years and helped them earn their livelihood. Over 2000 tribal families in Orissa are covered for sustainable livelihood programs. Employees of Glenmark across the globe have been consistently volunteering towards the CSR initiatives. In the last three years, around 1900 employees have offered their support, time and help for various initiatives. Apart from providing medical healthcare support to many through medicine donation, medical camps, ambulatory service, they also assist and provide aid in the event of natural disasters. Other awards and recognitions received by the company include the "Best under a Billion Dollar companies in Asia" for 2008 by Forbes, a leading international publication, "Indian Innovator Pharmaceutical Company of the Year - 2010" by Frost & Sullivan, and Gold Patent Award 2011 in the categories of API Formulations & Export of bulk drugs (Non Biologicals) by Pharmexcil.